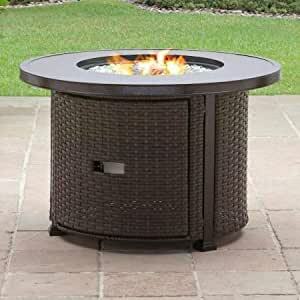 Outfit your outdoor living space with the Gas Fire Pit that keeps you comfortable all year long. The bronze finish and all-weather wicker design is durable and stylish. An electric-ignition button lights the stainless-steel burner instantly for a clean, smokeless burn.